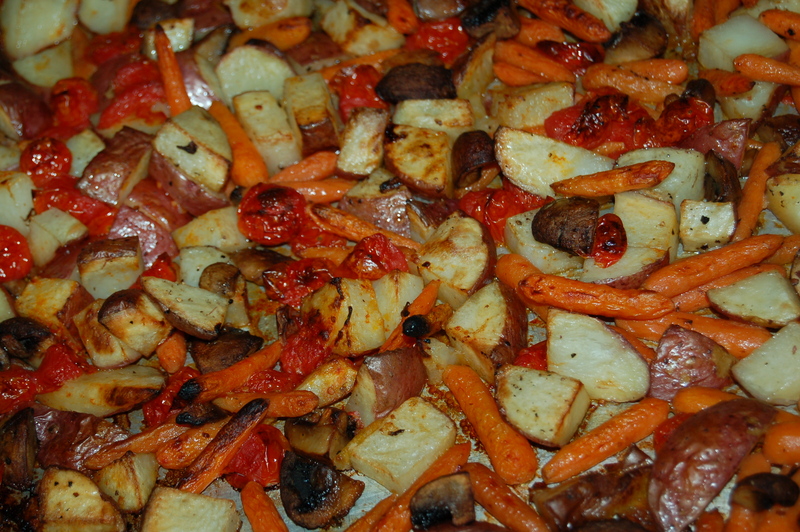 Roasted Vegetables 101 – Learn how to do this right every time!!! | Crappy Kitchen - Good Dinners! 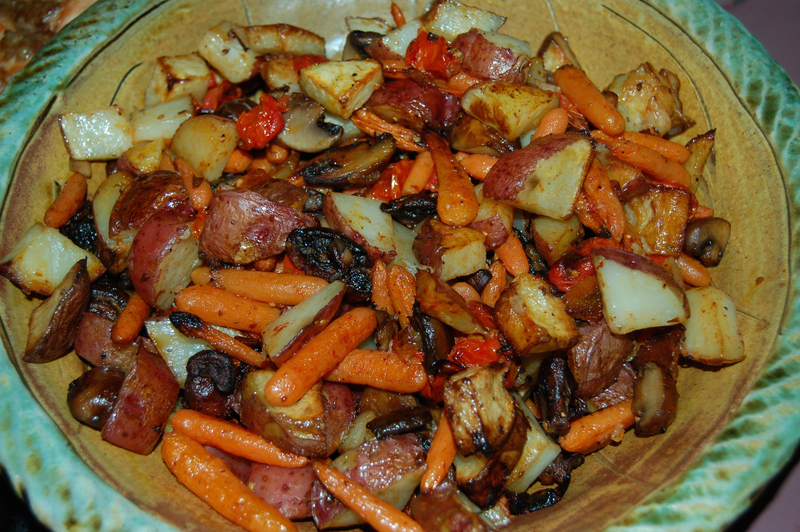 Roasted Vegetables 101 – Learn how to do this right every time!!! 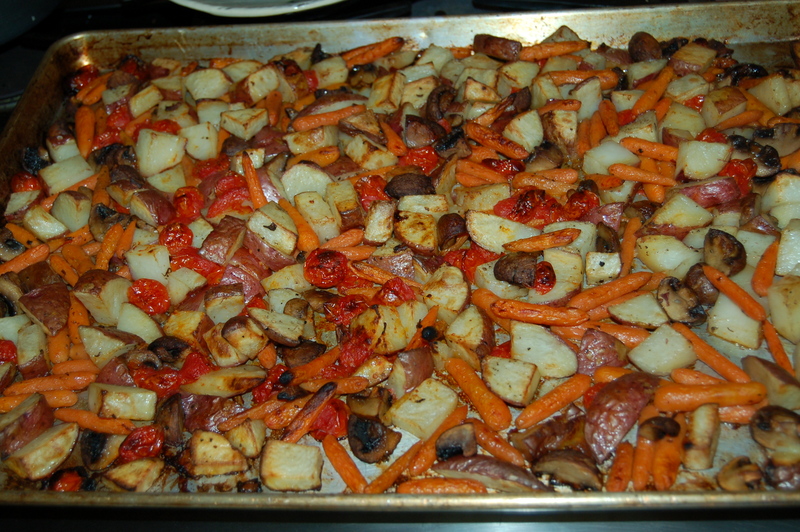 I made this big sheet pan of roasted vegetables the other night simply because I had not enough of any one thing to make a complete side dish. However, when I threw everything into one big bowl and tossed with some olive oil, salt and pepper it transformed into a robust feast for a crowd! 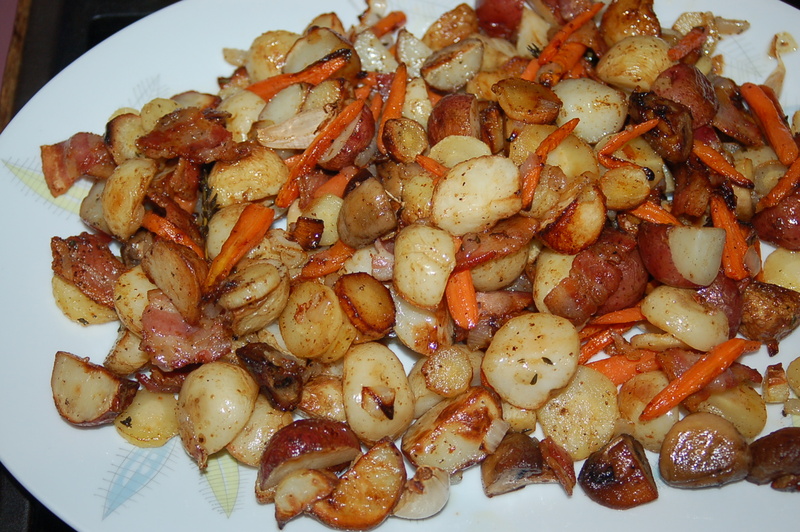 I am posted this to demonstrate what you can do with odds and ends and how you can feed a crowd without too much effort. 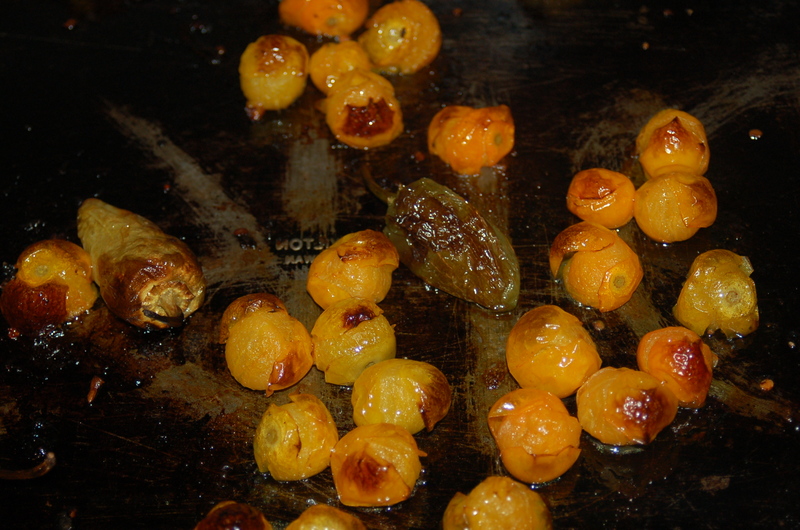 Roasting vegetables bring out their sweetness and imparts great depth of flavor. 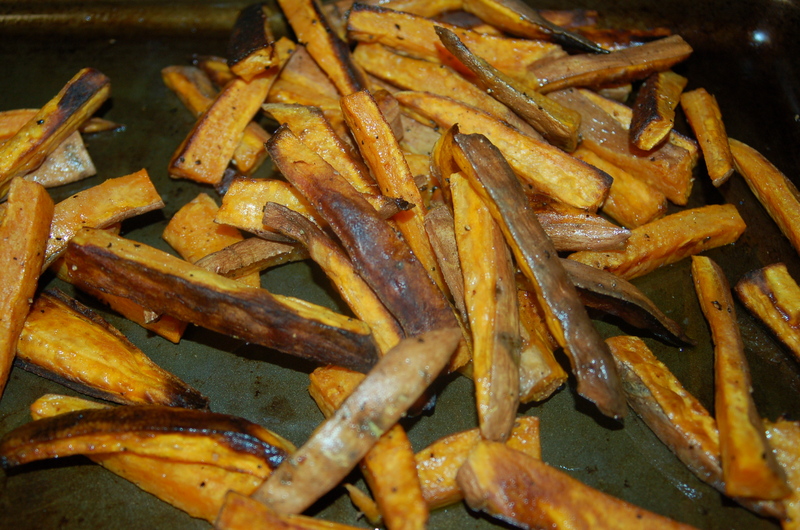 You can roast most any vegetable. All of these accompaniments can be used in a myriad of different ways. Sometimes (like the other night in the top photograph) I simply serve alongside the protein (which can be anything: chops, chicken or fish!) or I add it to pasta which makes a lightning fast dinner. Green beans are fabulous when roasted! The only thing you have to be careful about is to select vegetables that have roughly the same cooking times. 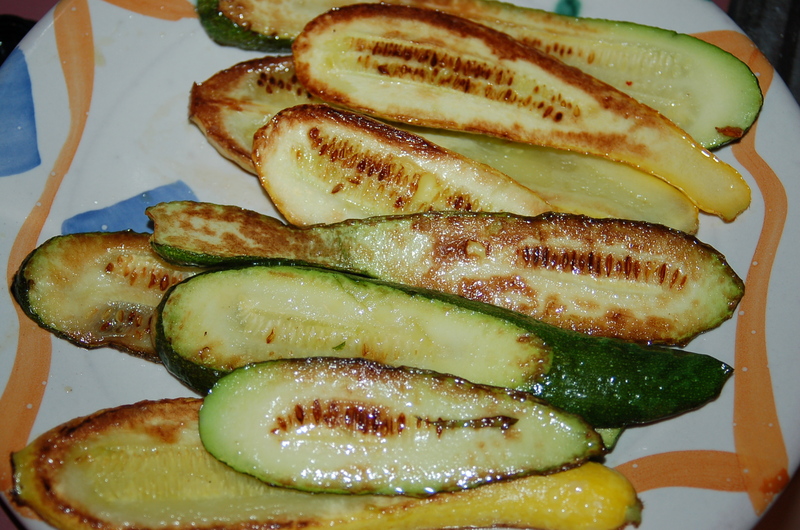 In other words: don’t roast zucchini with potatoes or you will end up with zucchini mush! AND size matters: always cut your vegetables approximately the same size or some will cook faster than others! Now that we are hurdling towards colder weather, my oven will be busy roasting up all sorts of vegetables to bolster the flavor of our evening meals, not to mention keeping my kitchen toasty warm! Below are other veggies with different cooking time instructions! 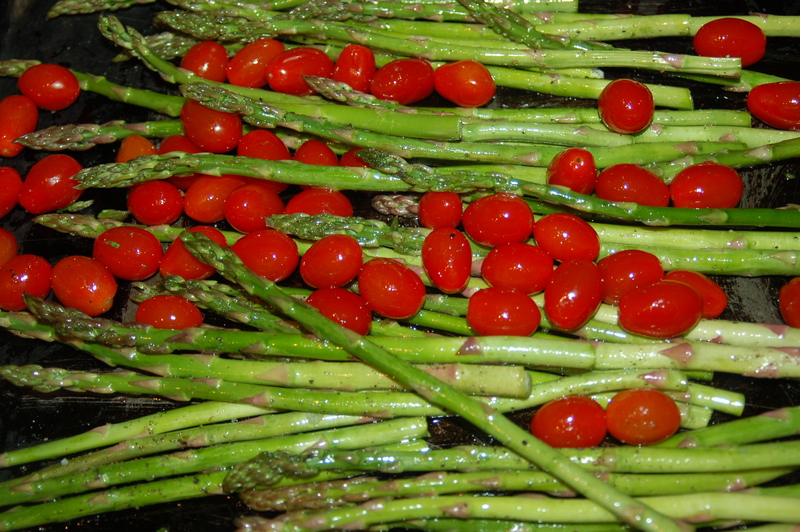 1 – While oven is preheating, prepare all of your selected veggies and place in a very large bowl or container. 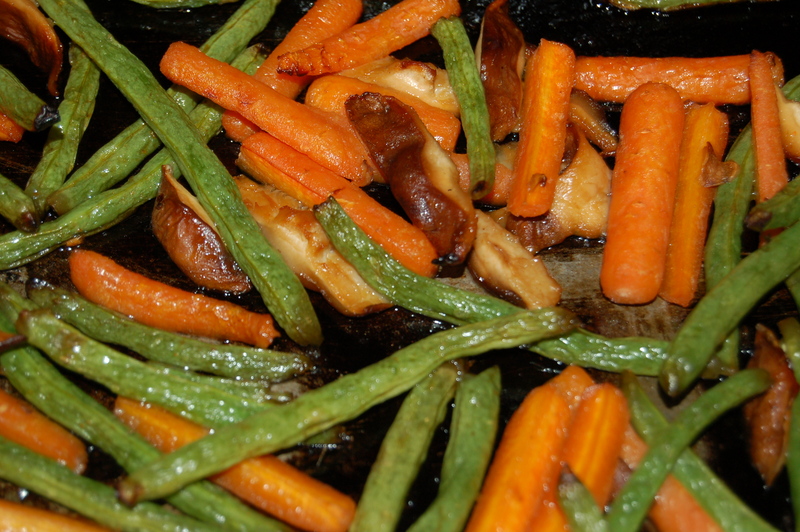 Add the oil and mix it through the vegetables until everything is coated. Add your seasonings and mix it in. 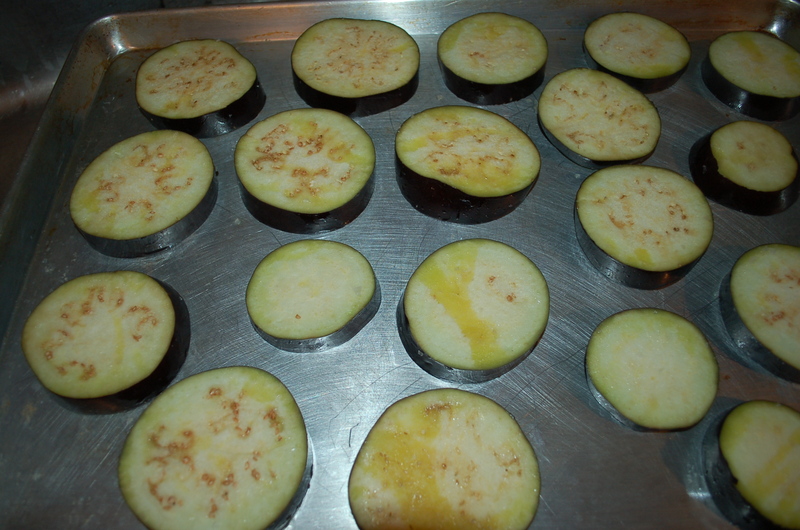 2 – Place vegetables on large baking sheet in an even single layer without “crowding the pan! Place in the oven. Cook for about 18 minutes before removing. Wait for about 30 seconds before turning (waiting gives the vegetables time to release a little moisture and thereby makes them easy to toss). Return to oven for 12 minutes and then check for doneness by tasting. Remove if ready or return for another few minutes checking often. A nice (and easy) way to serve these is in a large warm serving bowl with a big spoon, or of course you can serve onto the plates right from the sheet pan (or toss straight into the dish you are making). 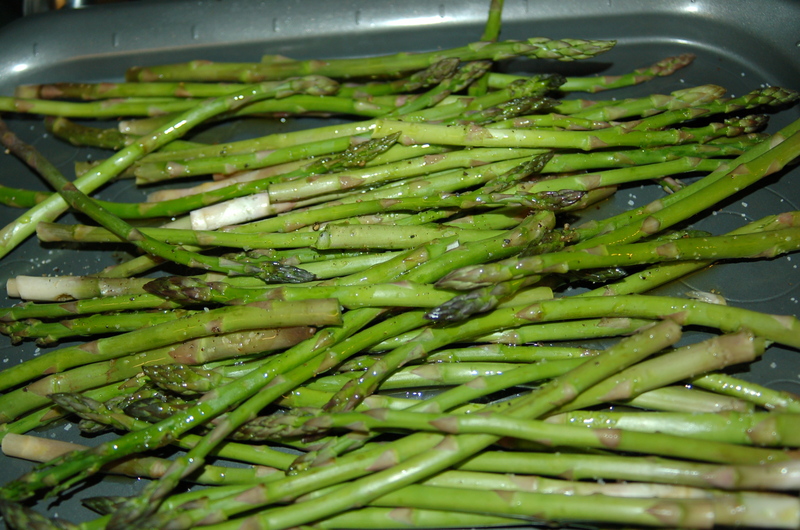 Asparagus roasting time: about 25 minutes, turning after 15 or so minutes. 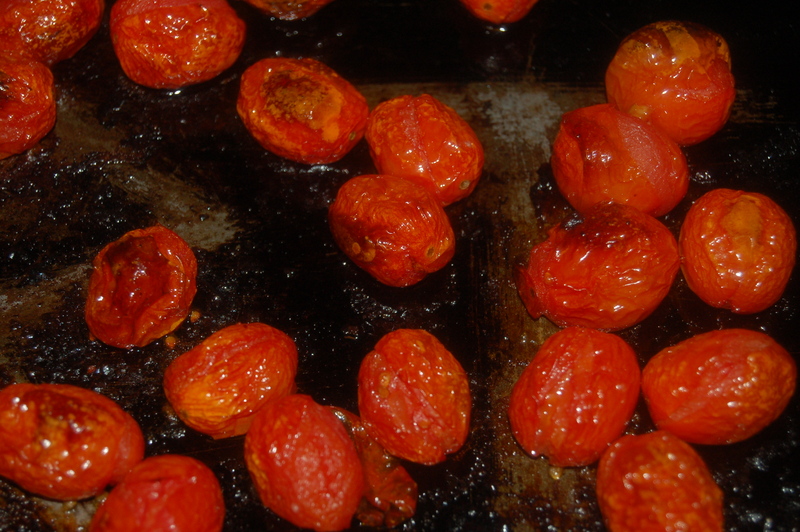 I roast cherry tomatoes very often on their own. I use them on grilled sandwiches (cold or hot), omelets and toss them into pasta dishes. 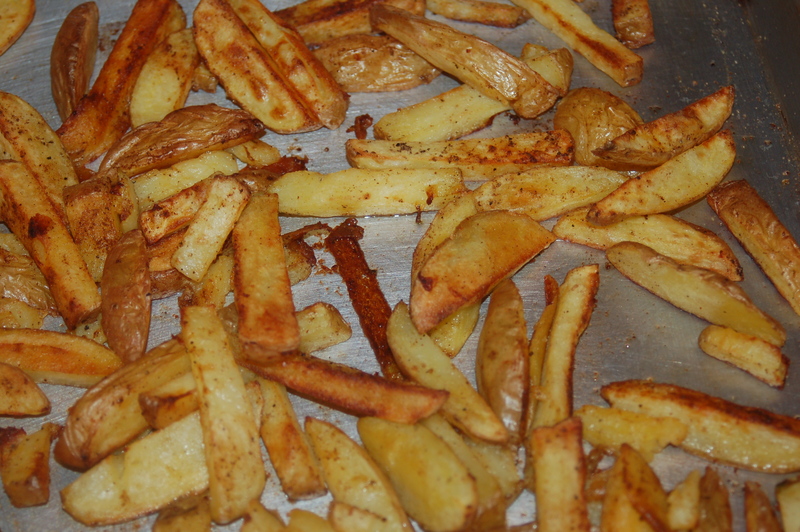 They roast quickly on their own – about 10 – 12 minutes total, turning halfway through the cooking time. Simply the best French Fries. Hand cut, toss in olive oil, season with salt and pepper (definitely salt, and maybe pepper) and cook for 18 minutes, turn and cook for another 12 before checking for doneness. 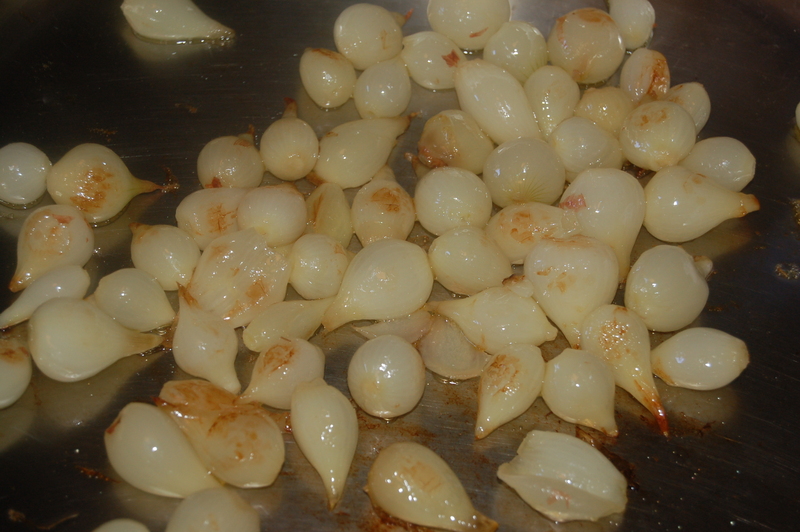 Pearl onions are great roasted – especially alongside root veggies such as potatoes, carrots and parsnips – they cook in the same time frame as root vegetables. 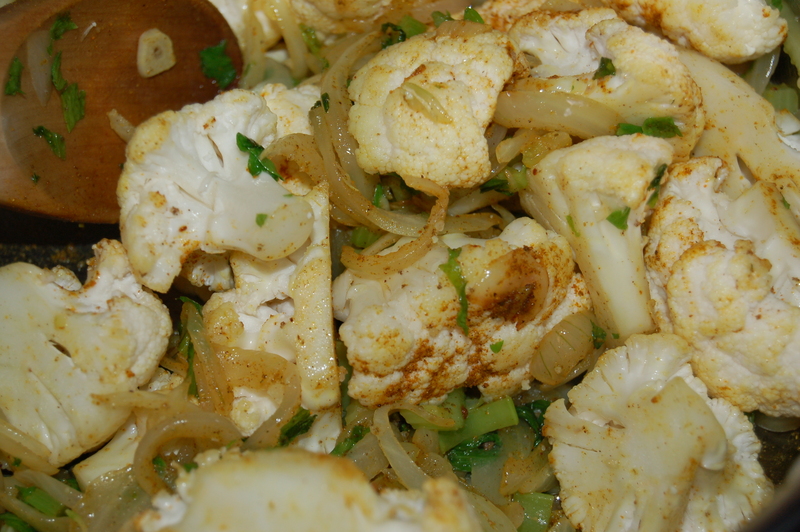 Cauliflower is also fantastic when roasted – will post my favorite roasted cauliflower recipe soon! This entry was posted in dinners and tagged french fries, guidelines for roasting vegetables, roasted asparagus, roasted baby carrots, roasted cherry tomatoes, roasted eggplant, roasted mushrooms, roasted pearl onions, roasted potatoes, roasted root vegetables, roasted sweet potatoes, roasted vegetables, roasting vegetables 101, sweet potato fries, vegetable side-dish. Bookmark the permalink.